Part of the fun, and good work, of sharing my new Lebanese cookbook with the world is doing interviews (and—thankfully—lots of them). Today, this Very Big Deal was published in The New York Times! Among the many questions that get asked in these interviews, I’ve always been unnecessarily prepared for one of the sort Bon Appetit magazine used to pose in its back-of-book interviews with VIPs: what three ingredients do you keep in your refrigerator at all times? Reading their answers was kind of like inspecting (stealth, of course) the grocery cart of the person in front of you: it feels like you’re stealing a little look into their soul. Judgments abound. Refrigerator, similar deal. Which is why I’ve thought that I’d love to rattle off my fridge staples for all the world to see. I would keep quiet, certainly, about the ridiculous number of half-full pickle jars and the Hershey’s chocolate syrup (it’s not for me! It’s for the nieces and nephews! Quick hot chocolate!). It’s the labneh that I’d tout—my thick, luscious, and often homemade Lebanese condiment of choice. There is hardly a meal, and no snack, no app, no moment of hunger that labneh doesn’t improve. This is the darling of my fridge, a fixture along with fresh, clean herbs. I emphasize “clean” because I find if I wash and store them right away when I pick them or bring them home from the market, cooking with them is much more likely. One of the great pleasures of my version of a well-stocked larder is the ability to pull off a remarkably good and healthy dip at a moment’s notice. Sour cream, I’m sorry: move over. There is nothing better than a tangy labneh as the base for dip—the labneh can be homemade (you can do it! ), or it can be purchased (labneh/labne/labna is showing up more and more), or it can simply be plain Greek yogurt. Stir in any aromatic you have, and if that includes mint, labneh’s best friend, you’ll be richly rewarded. I use fresh garlic but I also like to substitute toasty granulated garlic powder, with no apologies. The mellow taste of the powder is flavorful without ever being too much. Top the dip with a dusting of dried mint, which is not just a pretty face here. I mean, it is beautiful all crushed and bright green over a big dollop of snow-white labneh, but it’s also a key flavor-maker. I like to keep a jar of dried mint on hand at all times. 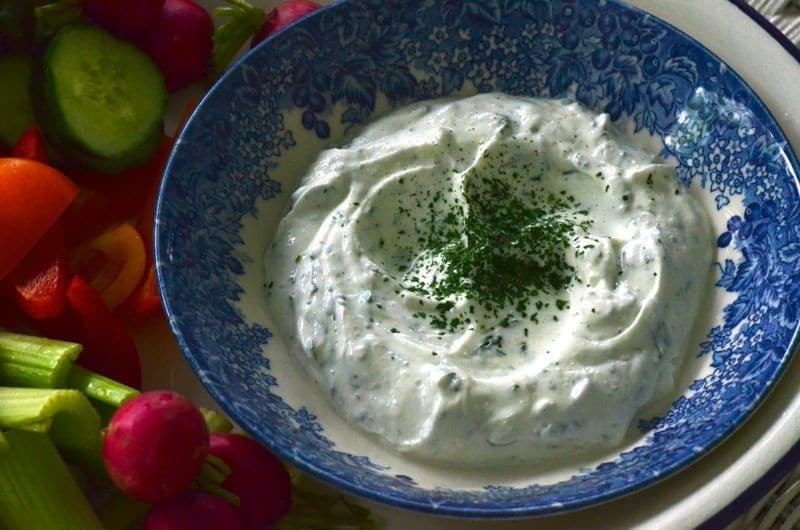 If labneh and mint aren’t your staples, I suspect that one taste of this dip and its endless possibilities for variation will put them right up there as new top contenders with your other favorites (which I’m sure don’t include Hershey’s syrup…). 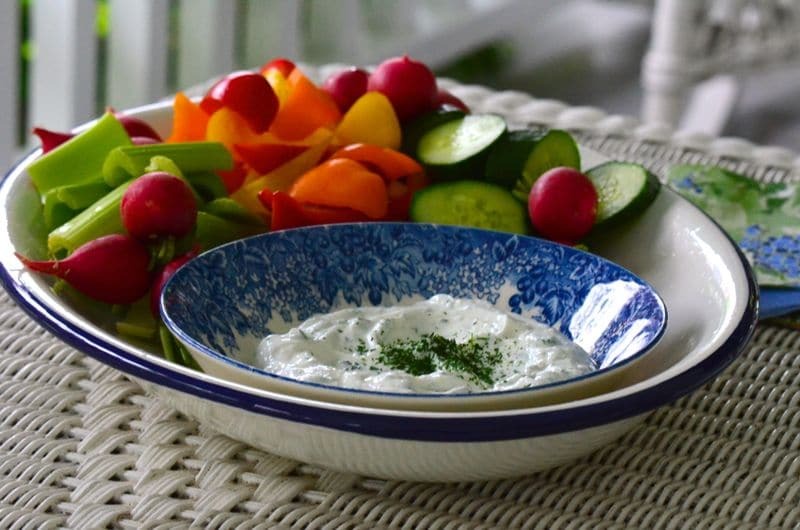 Serve the dip with fresh vegetables or pita chips. The dip will keep well in the refrigerator for up to one week (and tastes even better with each passing day). Recipes to Relax with for your Memorial Day Weekend Join me this Sunday, June 14th, in NYC! 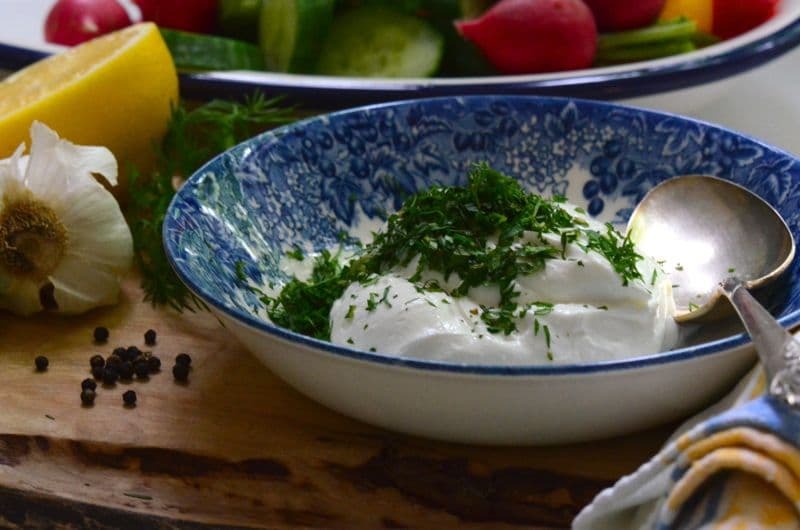 19 Responses to "Your go-to summer dip: Labneh with Garlic and Herbs"
Don’t firget a sprinkle of olive oil on top!! I love your blog. However, I’m living in South America, and unable to buy your book until July, when I visit the States. How do you make your labneh? It’s unavailable here, as is phyllo! Hello Jay! See the labneh recipe here! Thanks Maureen! Our fridge is NEVER without at least one tub of labneh! It’s definitely become a staple we can’t do without. It’s so incredibly versatile. In fact, today I’m making wrap sandwiches: Syrian bread spread with labneh, rolled up with turkey, bell pepper, cucumber, and herbs from my garden. Hi Maureen. what a fine review of your new book in today’s NY Times Food Section by Melissa Clark. Congratulations! I don’t know that I’ve had labneh, but I read through the recipe a few weeks ago and definitely want to try it. I wish I had been able to make your book signing at Schuler’s, but we were heading out of town. I went vegetarian not long ago and Middle-Eastern food is a go to for yummy vegetarian fare. I love that the recipes on your website can be sorted that way as well. Nice review in the NY Times! 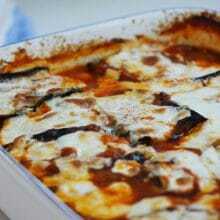 Makes me hungry and it’s hours to lunch, which, by the way, is the mujadrah from your website! Hi Maureen. I was so happy to see you are back in Michigan. 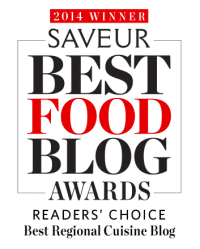 Your cookbook and blog are out-of-this-world beautiful. I love to look at the pictures and read them over and over. Thank you for all the time and effort you put into them. How wonderful to hear from you Margaret, and to remember those great times. 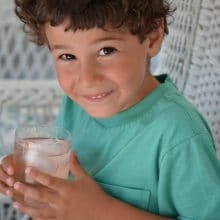 Thank you for your kind words…Let’s be in touch to connect! Congrats on the NYT piece!!! What about fresh mint? 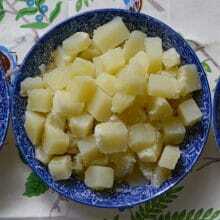 And, any tricks to finely chopping it? Looks yummy! 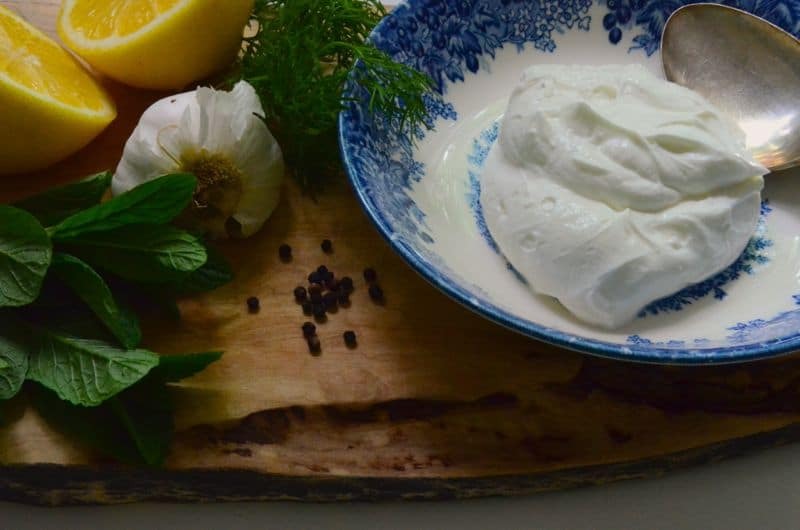 Dried mint is one of my recent discoveries, well, recent as in the last year or two – I had some type of prejudice against it, but now I am sold – and of course, in labneh it is simply outstanding! If I had to choose my family’s favorite food, it would have be Laban in any form; straight out of the refrigerator, mixed with something or cooked with something. It would not matter just as long as it contained Laban. Your dip recipe is perfect and thoroughly enjoyed. I did click on the link to The New York Times review written May 22, 2015 by Melissa Clark and absolutely disagree with her comment that “And like many blogs-turned-book, some of the prose suffers from overwriting and under-editing. Read past these bits and focus on the recipes themselves,…”. Your cookbook is wonderfully well-written with warmth and grace which brings me into your family as an honored guest and friend. Thank You for this gift of friendship. Oh Frances, thank you so much…I’m gratified that so many people (including me!) didn’t think that comment was accurate, but happy that the lion’s share of the review was glowing! And here’s to our laban, the very best. Thank you Chris! And so glad you love that crust as much as we do! I am Lebanese and have such a passion for the food. I can’t find a place that makes it as good as my Siti, so I had better start learning. I’m excited to take a peek at your new cookbook! For me, BBQ meals by themselves are not enough – the accompanying dip should always be present!